DJ Hero® 2 will transform living rooms into nightclubs letting budding beat chemists, singing sensations and all of their friends fire up two turntables and a microphone to experience their favourite music together in an all-new way. 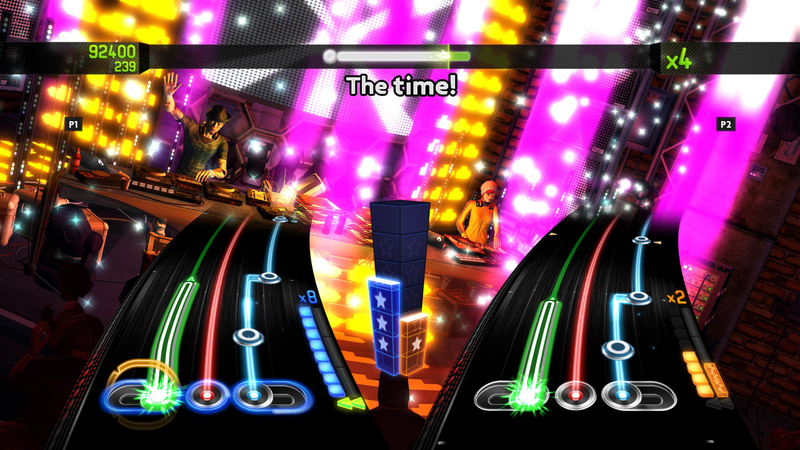 The follow-up to the award-winning, #1 new videogame IP of 2009, DJ Hero 2 delivers the ultimate way for gamers to come together with a host of new multiplayer modes that pit DJ against DJ in unique Battle Mixes, invite vocalists into the spotlight with scoring based on pitch and range detection and bring the party to life with jump-in/jump-out Party Play gameplay. 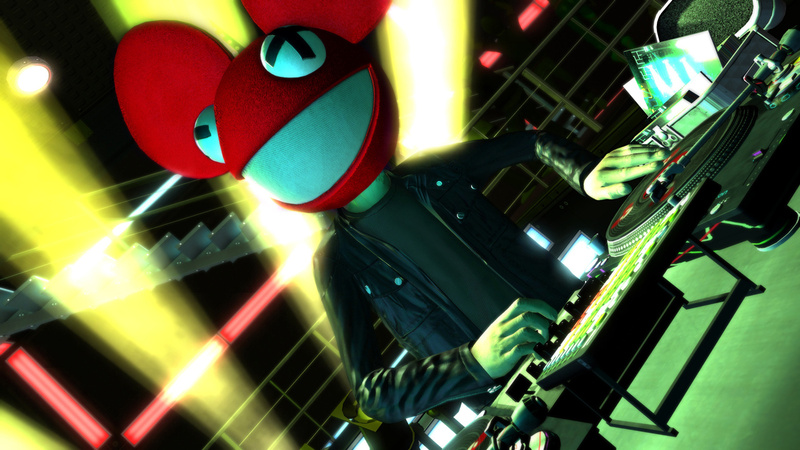 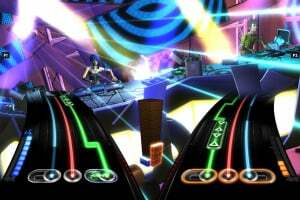 Featuring the biggest dance, pop and hip-hop hits by the hottest artists everyone knows and loves remixed by world-class DJs as they’ve never heard before, the game’s soundtrack delivers over 80 unique mashups only available in DJ Hero 2. 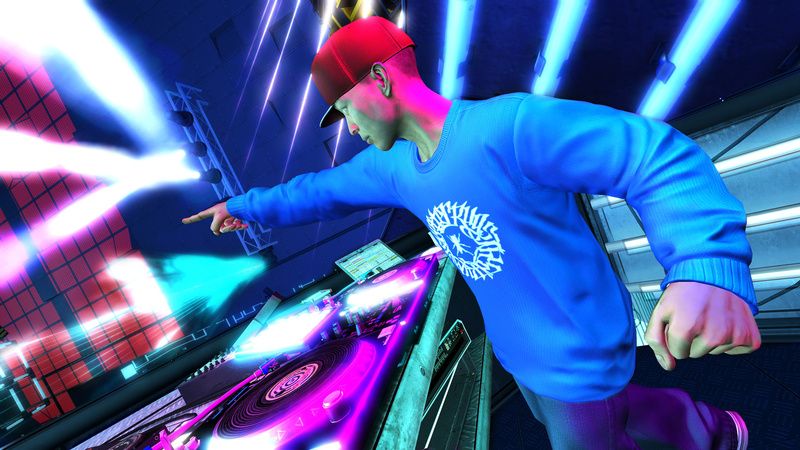 Further immersing players into the music, the game offers a heightened level of creative input and allows everyone to add their own touch, directly impacting the beats they’re spinning with Freestyle scratching, cross-fading and sampling, performed at set points in the mix. 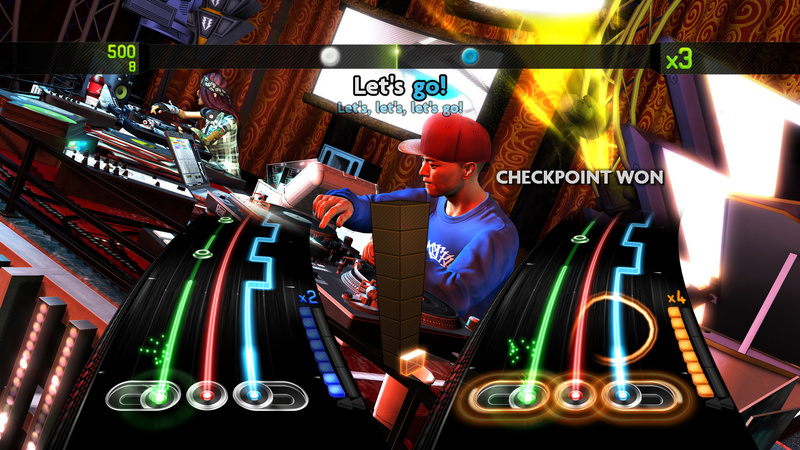 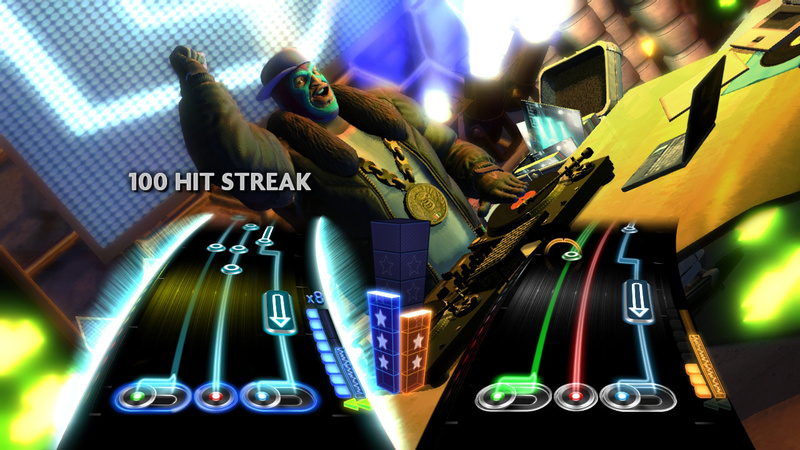  Two Turntables and a Microphone – DJ Hero 2 delivers the ultimate social multiplayer experience where two virtual DJ’s can drop the needle on the groove and mix, scratch and sample; all while a vocalist grabs the mic and sings along to lyrics from today’s biggest hits, scoring players with pitch and range detection. 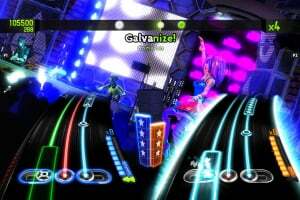  Tearing Up My Chart When I’m With You – Picking up where the award-winning DJ Hero soundtrack left off, DJ Hero 2 one-ups its predecessor and spins together even hotter tracks blazing up the charts and legendary club anthems from the biggest artists in pop, dance and hip hop. 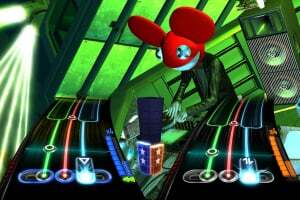 Remixes of block rockin’ beats from Lady Gaga, Deadmau5, Kanye West, Chemical Brothers and Dr. Dre will definitely set the party off right. 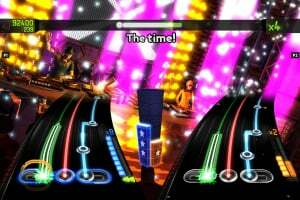  Do It Your Way – DJ Hero 2 lets players put their own spin on the music with Freestyle gameplay that allows them to mix, scratch and sample during set points in the game. 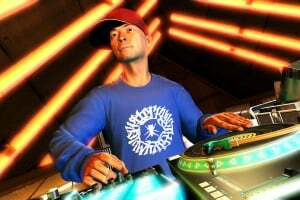 With the tracks synced to the beat, scratches recorded by the pros and samples pulled directly from the tracks being mixed, everyone will sound like a superstar DJ. 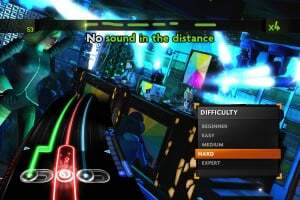  Don’t Miss the Party Train – The critically acclaimed Party Play, first made famous in Guitar Hero 5, is one of a half dozen new multiplayer modes coming to DJ Hero 2. 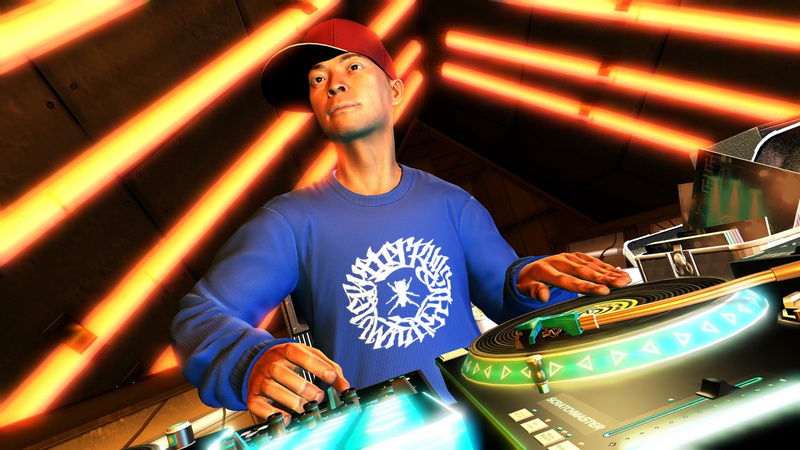 Digital disc jockeys and living room lyricists will be able to start and stop spinning on the fly, drop-in and drop out of lyrical gameplay, switch difficulty level without interrupting the party vibes or just let the game play the body movin’ beats on its own. 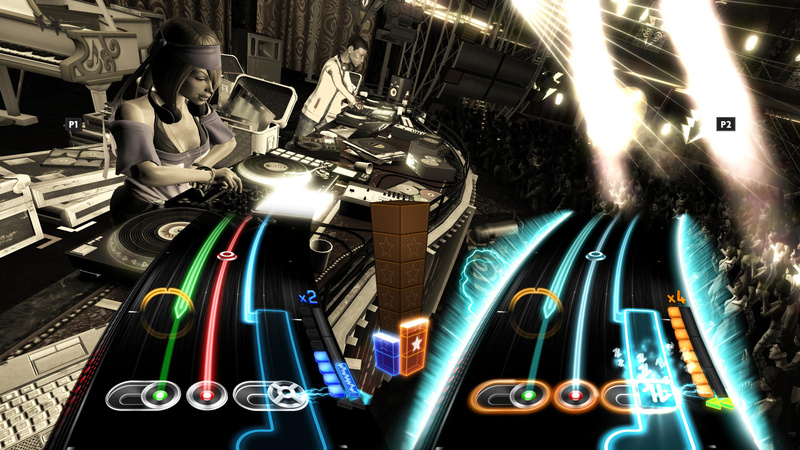  Play at Your Own Risk – At the heart of DJ culture is the battle. 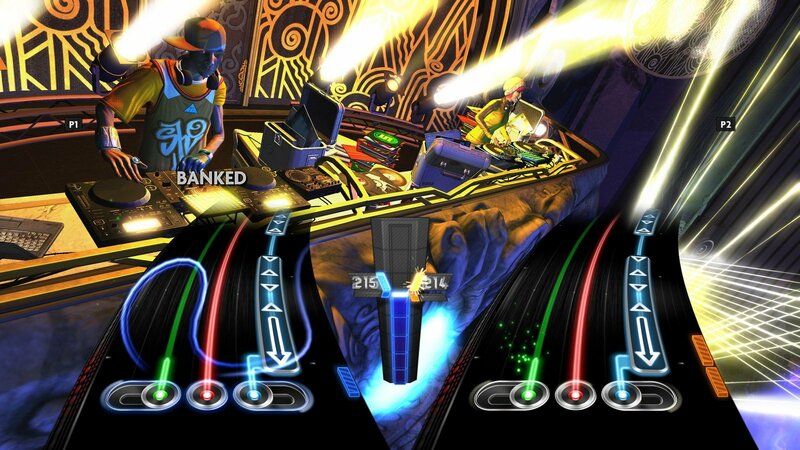 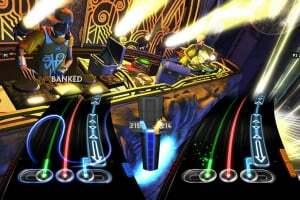 Epitomized by scratch legend DJ Q-Bert, DJ Hero 2 brings the heat to the players with a variety of competitive game modes. 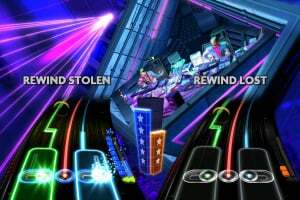 With DJ Battle – featuring custom designed mixes and authentic call-and-response gameplay – Star Battle, Accumulator, Checkpoint and Streak, the game will be the judge in determining the ultimate living room scratch master. 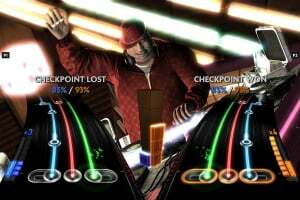  I Don’t Need No Love, All I Need is the DJ – Though it takes only mere moments to spin like world-renowned mixmasters in DJ Hero 2, the talented crew of DJ’s responsible for crafting every scratch, sample and crossfade represent the biggest names in their profession. 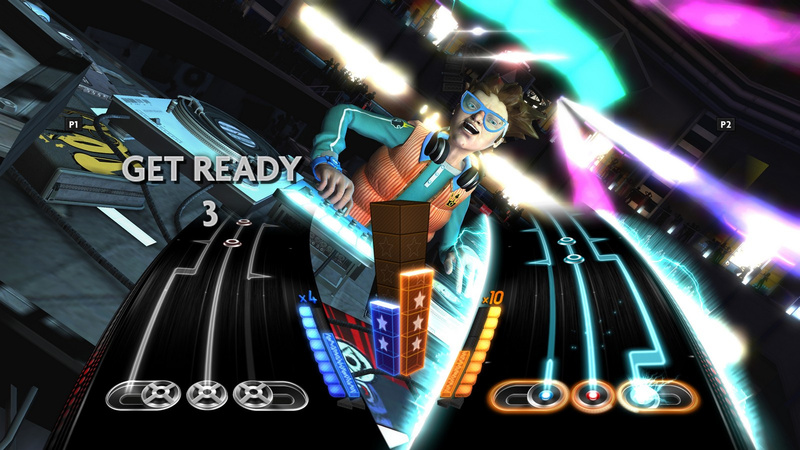 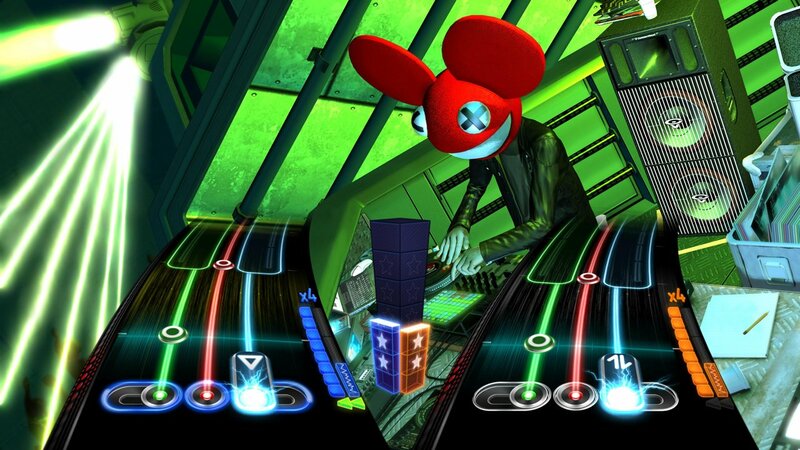 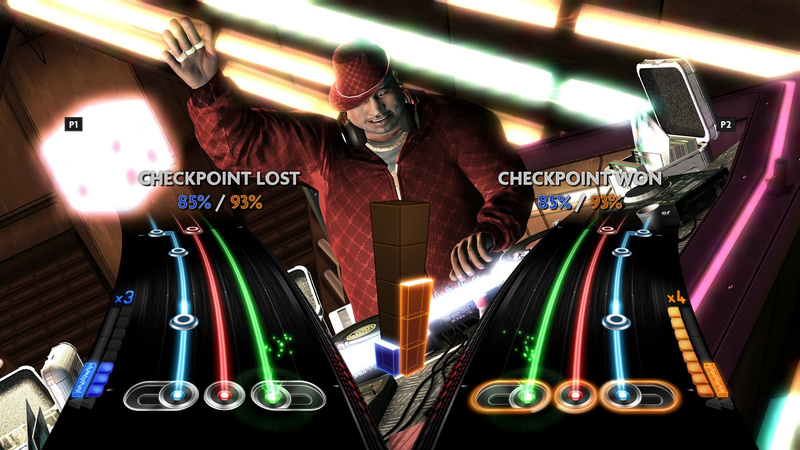 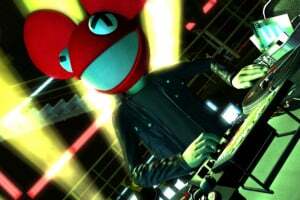 DJ Hero 2 continues its tradition of delivering award-winning mixes with legends like DJ Shadow producing the beats, award-winners like David Guetta, Deadmau5, DJ Qbert and Tiësto appearing in-game and a cast of party-starting, radio-airwave-dominating DJ’s creating mixes at the FreeStyleGames studio in London. 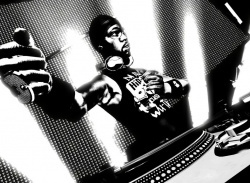  Everybody Wants To Rule The World – In the all-new Empire Mode, players start out as an up-and-coming DJ on the road to becoming the head of a major entertainment empire, all of which is founded solely on their success as a DJ. 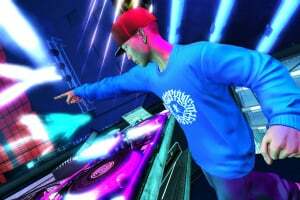 Wowing the crowd with their tight sets and awesome freestyle abilities, players will progress quickly, soon finding themselves in command of a network of global clubs, and each with a selection of superstar DJs in their crew. 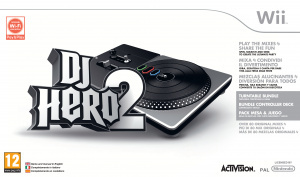  You Spin Me Right Round Baby, Right Round – With the DJ Hero turntable controller in hand, DJ Hero 2 continues to transform video gamers into virtual DJ’s engaging in techniques including mixing, sampling, various scratch patterns and adding effects to the music mix. 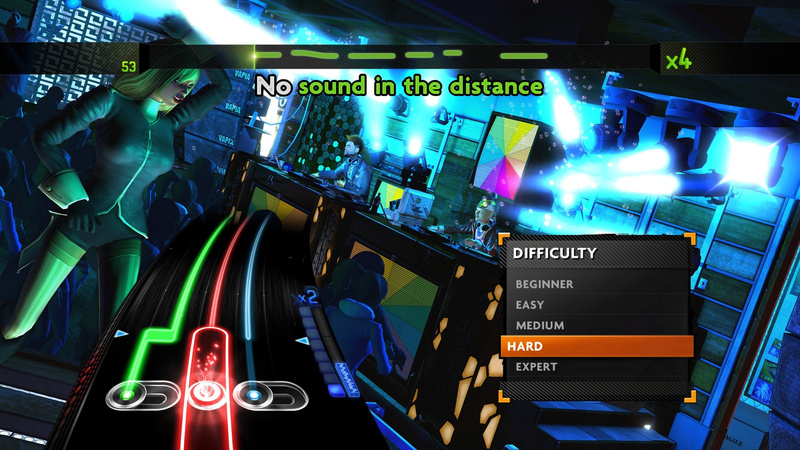 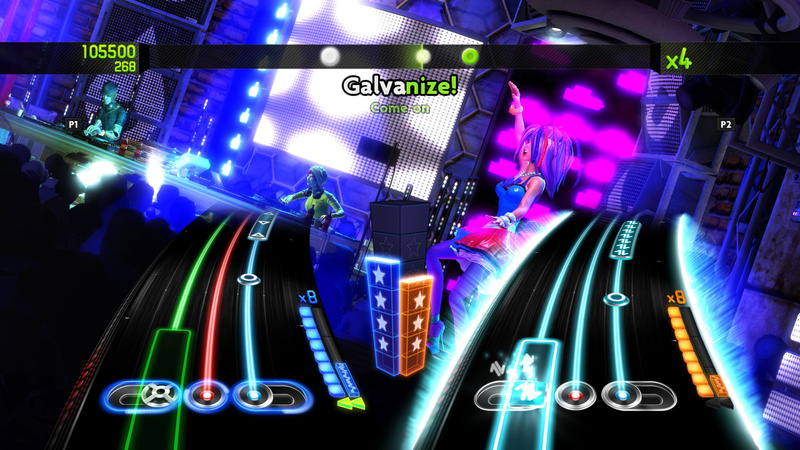 From beginners to experts, players spinning on the turntable controller will experience the unique sensation of having control of the music at their finger tips. 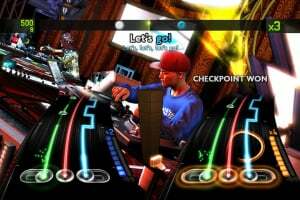  But You Say He’s Just a Friend - virtual DJs can throw down the ultimate battle with Hero Feed, which brings bragging rights to the game by allowing players to challenge and track their friends’ accomplishments, whether the friend is online or offline. 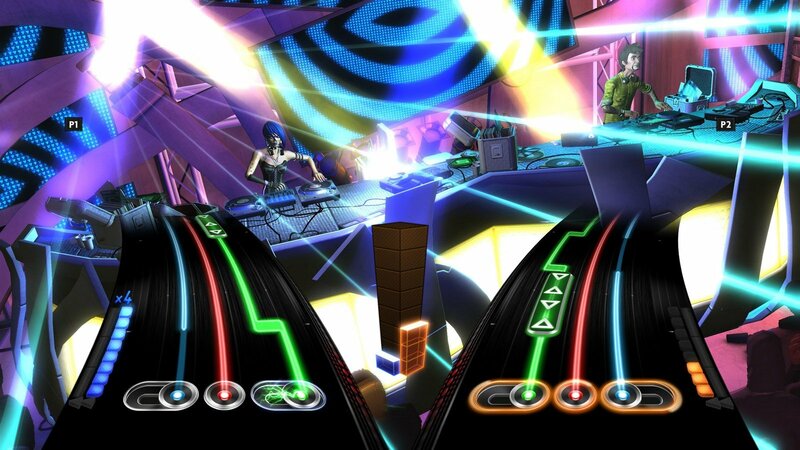 Why did this series had to finished,I kinda thought it was a little bit better than GH. 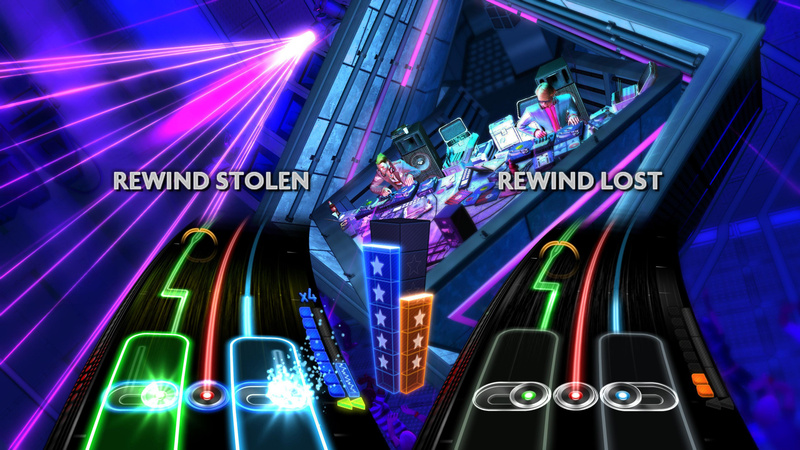 My favorite rhythm series ever. 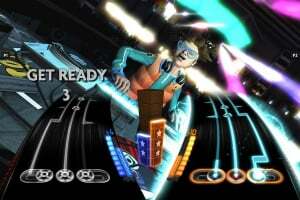 This was the best of the generation among "hero" and "band" games. 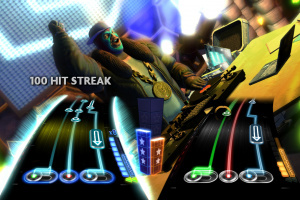 This one wasn't as good as the first one though.